Intro: Easy-money policies across the globe have set us up for some rocky times ahead. Here’s why, and what retirement savers and investors should be doing now to help protect themselves. In the 1990s we had the dot-com bubble. In the 2000s we had the real estate bubble. In a book I published at the end of 2005, I predicted that real estate bubble would burst. And now we have the central bankers’ bubble. 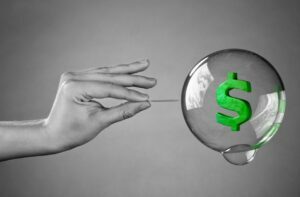 I believe that this current bubble will burst, sending asset prices down again. Perhaps the biggest concern we have right now is America’s aging population. Right now, every day approximately 10,000 Baby Boomers are turning 65, and this will continue for over 10 more years. These retirees will be turning on Social Security and Medicare and may be taking money out of the stock market instead of contributing to it like they did during their working years. In addition, retirees typically downsize their homes and spend less on average than they did during the earlier part of their lives when they were still working.15 Reduced spending is bad for the U.S. economy, because 69% of our economy is based on consumer spending.16 This aging demographic is a real potential threat to America’s consumer spending-based economy. In the face of these mounting challenges, retirees and retirement savers alike must establish a risk management to minimize the risks of the market cycles. 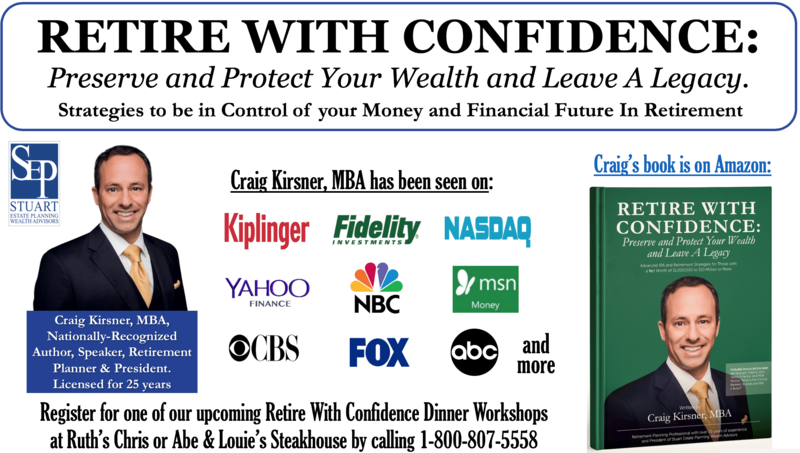 Most of my clients are retired, ages 65 to 80, and are pursuing their retirement dreams. Their main goal at this point is to not give back all the gains they’ve made over the past nine years since 2009. They’re more concerned with managing principal and income, than making big gains going forward… because the more risk you take on, the more upside potential you have but the more downside risk you face, and my clients tell me they never want to go through another 2008 again. Using a dynamic software program called Riskalyze, I can show my clients exactly how much risk they have now in their current portfolio. I can also show my clients exactly how much they are paying in fees on their mutual funds and variable annuities. • Reduce exposure to stocks by locking in some potential gains is a good start. • Use shorter-term bond strategies, which can work well in a rising interest rate world. • Consider ETFs (exchange traded funds), which may give you further diversification and low fees. Lastly, I recommend having a good, trustworthy financial adviser to steer you through retirement. Sometimes the adviser who got you to retirement is not the same one you want to guide you through retirement, when your goals may have changed. Your old adviser may have that same “growth” mentality when you’re in retirement, at a time when many people’s goals have changed to safety of principal and income rather than higher growth potential. Advisors Excel (“Advisors”) expressly disclaims any warranty, representation or inference that any offerings, product or service promoted on materials reviewed by Advisors are suitable for any consumer. Although Advisors makes reasonable efforts to evaluate materials as requested, the result of such evaluation is an opinion only. Advisors cannot guarantee that such reviewed materials are in compliance with all of Producer’s legal and compliance obligations. In light of the aforementioned, Producer hereby agrees to release and waive all claims against Advisors and to hold Advisors harmless for any and all costs, fines, damages, liabilities, or any claim of any type incurred by Producer in relation to the materials, including but not limited to civil liability or damages, or regulatory investigation, sanction or fines.